At this point, most vape enthusiasts are familiar with the Volcano Vaporizer, as it was one of the first units that got people really excited about vaporizing. Even after all these years, it’s still considered one of the best. Check out our review video and see why. The Volcano Vaporizer is easily considered the most recognizable unit on the market. The iconic design has been duplicated by others, but nothing matches the quality that a true Storz & Bickel unit provides. This company certainly was a pioneer in the vaporizer industry and set the standard when it comes to forced air units. The Volcano does not offer direct draw through a whip, instead it only collects vapor in a bag and allows the user to enjoy the vapor at their own leisure. This also helps cool the vapor as one is not inhaling from the heat source, but through the valve system that holds the vapor. HOW DO THE DIGITAL AND CLASSIC MODELS DIFFER? Storz & Bickel offers two different models of the Volcano, the Classic and Digital. Both units look similar in design with a brushed metal cone that the components are housed in. Each Volcano uses food safe and flavorless materials, including a high-performance aluminum heat exchanger that quickly reaches the desired temperature every time. The Classic unit has been around longer and features an analog dial for temperature control. There is a scale ranging from one to nine that each correspond to a temperature from 266°F to 439°F. The Digital model has the advantage of a digital display that uses LED lights to inform the user of the exact temperature. Along with the easy to read user interface, this unit also works more precisely than its predecessor. WHAT IS THE DIFFERENCE BETWEEN THE SOLID AND EASY VALVES? Not only does one get to choose the model of their Volcano, they also get their choice when it comes to the valve system that they will be using. The Solid valve set allows for control over the size of the balloon. The material comes on a ten foot roll and is cut to a selected size. Though there is a slight learning curve when it comes to assembling the Solid valve and things may get frustrating, it is indeed the more cost effective option in the long run. The Easy valve comes with ready to use balloons and does not require the user to attach a new one, but instead replace the whole valve after extensive use. The filling chamber in the Easy valve set is cleaned and then additional preassembled bags can be purchased for use with it. It is truly a matter of personal preference as to which valve set is the better option. HOW OFTEN DOES THE BAG NEED TO BE REPLACED? Over the course of use, the Volcano balloon bags will need to be replaced to ensure that there is no loss in flavor. The manufacturer recommends that the bag is changed after 100 inflations. For the Solid valve this consists of cutting a new bag to the desired length and reassembling. With the Easy valve, simply throw away the hold bag and use one of the replacements, no assembly required. If you find the bag sticking to itself or not tasting quite right, it is likely time for a new one. WHAT IS THE BEST WAY TO FILL A BAG? Cover the bottom screen in the filling chamber, less is more. Once your Volcano has reached your desired temperature setting, place the filling chamber atop the unit and turn the fan on. Hot air will start to pass over the herb and when you begin to see a slight misting of vapor, connect the balloon to the chamber. This method will help prevent the bag from filling with hot air prior to vapor actually being produced. As the bag begins to fill the vapor will become denser, due to the continual heating of the herb. The bag does not need to be entirely filled prior to removing, although there is certainly nothing wrong with going all the way. The vapor will store in the bag for 8 hours if there is not enough time to finish it all in one session. WHAT IS THE OPTIMAL TEMPERATURE FOR THE VOLCANO? As with all vaporizers, there are many temperatures that will create vapor. The question to consider is how do you like your vapor? A lower temp produces a lighter vapor that will not appear very visibly in the balloon. The further the temperature is raised, the denser the vapor becomes. It is good measure to start around 360° and work up to 385° to find what the best fit for your own needs is. With the Classic Volcano, a good range is from 6 to 7 on the dial. Remember not to over pack the filling chamber, but rather cover the surface area of the screen and just slightly more. There is often a slight learning curve when one first starts vaporizing and the Volcano is no different. CAN I VAPORIZE OILS WITH THE VOLCANO? 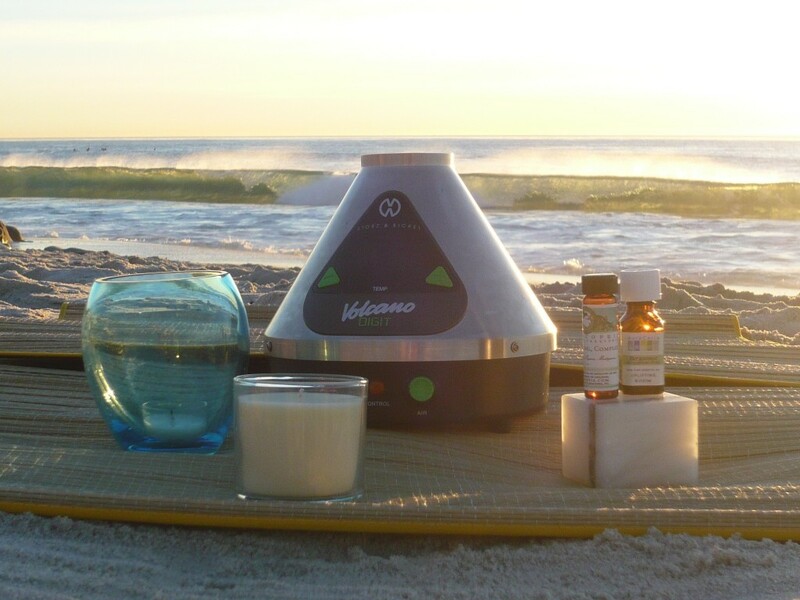 Not only can you vaporize herbs, but the Volcano works with oils as well. There are mesh liquid pads available that hold the viscous concentrate and allow the hot air to pass through, causing the oil to vaporize. Simply remove the screen from the valve set and place the liquid pad into the filling chamber. The temperature will need to be set slightly higher than when vaporizing dry herb for the best results. Start around the temp usually used and raise it from there until vapor is produced. 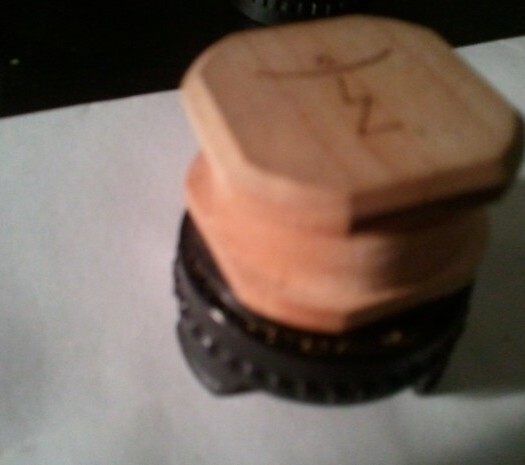 Using the liquid pad will create a very potent vapor, though it may not appear to be very dense. The Volcano is definitely the Bugatti of the vaporizer industry and can be considered the best balloon style unit. There are options to choose from in both the style of the Volcano itself and even the valve set that will be used with it. The quality of the vaporizer is very apparent upon first removing it from the box and with a three year warranty, it is certainly built to last. The one thing to consider is the lack of a whip setup with this vaporizer, which may lead some to find it less appealing. However, if the goal is to fill up a balloon, the Volcano is likely the best option. The digital control is sleek, though the classic analog dial works perfectly as well. There is no doubt that the Volcano vaporizer is as reliable as they come. If you are looking for the best vaporizer that fills balloons, this is it…It’s just a little expensive.